If you are a former FusionQuest.com Merchant, we invite you to take advantage of the coupon code which was sent to you earlier this Month regarding transitioning your affiliate program to ShareASale. If you are a former FusionQuest.com Affiliate looking for a new account – you can partner with over 2,500 Merchant on the ShareASale Network, and it is easy to get signed up. Just visit www.shareasale.com/newsignup.cfm to get started. am i going to lose my commissions ? You’ll want to contact your individual merchant regarding past commissions. 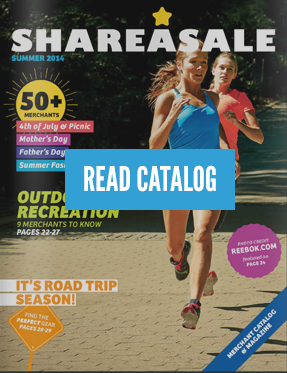 If your Merchant joined ShareASale you can login or create an account at ShareASale and join the new program there. I’m an affiliate of a number of FusionQuest programs. Is there any way to find out which have moved to ShareaSale and which have closed? I know ShecyPearls has moved and I’ve joined that one again but I’d like to know about the others. I never got the notice about FusionQuest. If I was owed anything how can I see what will or has happened to that balance? This is the first i am reading about this merging.I am greatful to finaly find this out.thank you to all. Perhaps, instead of leaving the site dead – put up a message explaining the new circumstances. I am trying to sign up with Treadmills Central, who were with Fusion Quest, but I come up blank when searching Shareasale. Does that mean they didn’t sign up with you? That is correct, and unfortunately I was unable to find out for you where the program went as their site still points to FusionQuest which was last active in 2009. If you need help finding an alternative vendor just let us know as we have quite a few products/Merchants that are in that space that would likely be interested in working with you.